A word about some of the members of the orchestra, arranged in alphabetical order. David studied violin, piano & composition at the Purcell School before going on to the Royal College of Music where he studied conducting. He was appointed Principal Conductor of Symphonia Academica in 2003. David has also conducted the BBC CO Strings and Kings Chamber Orchestra among others as well as commercial sessions for TV, radio & cinema. He has much experience in music for screen having played on numerous film & TV scores and has appeared in the movies "Shine" & "Four Feathers"; as an experienced composer & arranger he has worked on several TV commercials. As a pianist David has played both as soloist and accompanist in the UK & Russia. He became a violinist with the BBC CO at the age of 23 and had played with the RPO and the Halle as well as with many pop musicians. David has recently been busily involved with education projects and workshops for Symphonia Academica and the BBC CO.
Marcus Broome- Marcus has been a member of The BBC Concert Orchestra since May 1993 and he is currently a sub-principal in the second violin section. He particularly enjoys the diverse and challenging repertoire that the orchestra plays and the opportunity that it provides to indulge in some wonderful melodic and well performed music! Highlights of his time in the orchestra include the tours to Japan and the U.S.A, The Proms and Operas at The Royal Albert Hall and of course the many fantastic FNIMNs! Marcus lives in North London with Gabriela, who is a professional artist and their daughter Galia. Think “Librarian” and it is likely you conjure up an image of a bespectacled lady in twin set and brogues, her iron grey hair in a demure bun, and with a permanently disapproving expression. Yes? Well that image is certainly dispelled when it comes to the BBC CO Librarians, who now go by the title of “Music Associates”. Well see for yourselves! Born and brought up in Walsall, I first got into writing music for instrumental groups at school, and began my working career as a library assistant in the BBC Popular Music Library. We mainly supplied the Radio Orchestra, and during this time, I learned orchestration by using my ears (!). I married Terry in 1983, then under my pseudonym of Bobbie Field, and in collaboration with a lyricist, I wrote an original show (The Stuff Of Dreams) which was staged for a week in Basildon in 1986. Several songs from the show have featured on Friday Night Is Music Night – sung by Claire Moore, Mary Carewe and Lindsay Benson. I have also had several instrumental pieces broadcast by such as Tony Arnopp, Gordon Langford and Bob Docker; and over the years I have also written a collection of plays for schools with another writer. My re-orchestrated version of ‘Carmen – The Musical’ is now published by Josef Weinberger and has been seen over Europe and Australia! Two years after I was appointed it’s Manager, the Popular Music Library was amalgamated with two other BBC Music Libraries and I elected to Take-The-Money-And-Run! My freelance career began with assisting the Producer and Musical Directors for Radio Two’s series of Musicals – the beginning of my association with the BBC CO. Since starting to work with the Orchestra in May, 2002, I have also been commissioned to arrange for such as Claire Sweeney, Ruthie Henshall, Brian Kennedy and Sir Willard White. Since 1998, I have been Musical Director for the British Airways Cabin Crew Annual Pantomime! This gives me the opportunity to conduct my arrangements in the studio with members of the London Symphony Orchestra – augmented on several occasions by some of our wonderful CO members! I must admit that my first introduction to the BBC Concert Orchestra was a little confusing. I was introduced to everybody as ‘the new bunny’. At first I wondered if looking like a rabbit was a prerequisite for the job – though I soon came to realise that this referred to the previous orchestral librarian, Graham Warren, affectionately nicknamed Bunny. In fact Charles Hazlewood asked which animal I was, (if not a bunny) and I have since decided that I will be a hamster. The reason is that the job of orchestral librarian for the Concert Orchestra is like being a hamster scampering on a wheel – it is never ending! It’s a far bigger job than it outwardly appears, and one in which one never has the satisfaction of a clear desk, and all jobs done. Various programmes past and present need to be juggled – in boxes, on couriers, in dressing rooms, broom cupboards – in fact finding a place to work where the orchestra is, presents its own challenges. My very first job after University was as orchestral librarian at BBC TVCentre where I worked on light entertainment shows, like the Generation Game, Royal Variety Show and was a run-around for Ronnie Hazlehurst. I remember working on a series with the RPO and Andre Previn working alongside the RPO’s rookie librarian Andrew Connolly! After that I was a radio studio manager and worked in production on TV and Radio shows. I started a family, and got involved in music promoting. I looked after various classical ensembles, soloists, composers, a jazz trio, (with Kenny Wheeler, Stan Sulzman and John Parricelli) and a Big Band. I also had a lot of fun promoting an educational project called Mbawula, an infusion of South African Music and Big Band performed with choirs of several hundred children. In what can only be described as a portfolio career. I also worked as assistant to various celebrities – including Twiggy and Sir Ian McKellen. So now I have come full circle, back behind the scenes, working with music and musicians in an environment which is very comfortable for me. I have to say that it is probably the most demanding orchestral librarian job in the country! The sheer amount of music, the fast turn arounds and the lack of a base add to the challenges but I really enjoy it. Particular highlights for me have been the Britten programme with the choristers of St Paul’s Cathedral at Lancing College, the celebration of Saturday Night Fever at the Electric Proms, the George Fenton and the Ronnie Scott Big Band Friday Nights. And if I ever should start to resemble a hamster, you’d better let me know before I start shredding all the music for bedding! Sarah Freestone, who plays in the second violin section of the orchestra, studied at the Royal Academy of Music in London where she also played the guitar (winning the Julian Bream Prize) before continuing her studies at the Queensland Conservatorium of Music in Australia. Before joining the Orchestra, she worked in a wide variety of musical genres as both writer and performer of classical music, jazz, rock and pop. She has been the director of the Lullingstone String quartet for some time and has written and performed string parts for TV studio recordings and live performances. Her guitar work has taken her to all kinds of venues , playing all kinds of styles, from folk clubs to rock venues throughout Europe to the City of Birmingham Symphony Orchestra, classical recitals and the West End. Sarah spends much of her time writing and arranging. Benjamin was appointed as section leader in the cellos in 2007. He began his musical education as a chorister at Christ Church Cathedral in Oxford before being awarded a music scholarship to Wycliffe College, Stonehouse, Gloucestershire. He went on to study at the Birmingham Conservatoire with Michael Kaznowski where he won all the major prizes for cello and graduated with a first class BMus (Hons) in 1998. From there he accepted an invitation to study in Bremen, Germany with the internationally acclaimed cellist and teacher Alexander Baillie. After three years he was awarded a scholarship to study with Steven Doane at The Eastman School of Music, New York graduating with Master's degree with Honours in Music Performance and Literature. On his return to the UK, he completed a Postgraduate Diploma at The Royal Academy of Music in London. Benjamin has performed extensively throughout Europe, playing at various festivals and giving recitals. Concerto performances have included works by Dvorak, Elgar, Tchaikovsky and Schumann. During the past few years, he has worked as guest Principal with the Scottish Chamber Orchestra, Opera North, Scottish Opera and the Northern Sinfonia. He has appeared regularly on BBC Radio and television and has been made an Honorary Member of the Birmingham Conservatoire. Kate started her musical career playing cornet at the age of 9, going on to study at Guildhall School of Music & Drama. Since graduation she has played with many leading Orchestras, such as BBC Symphony, Royal Philharmonic & Bournemouth Symphony, she was appointed Principal cornet /Co Principal Trumpet of the BBC CO in 1988, and in 2000 Section Principal Trumpet. Kate works regularly on film & TV and her playing can be heard on sound tracks such as "The Golden Compass", "Sweeny Todd", "Planet Earth", and "Life". 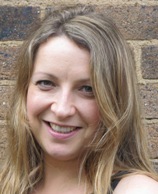 Kate too is committed to education work with projects by the BBC CO and the Jewish group "Burning Bush". She appears regularly as a soloist on Friday Night Is Music Night. Charles Mutter was born in 1970, in Sussex. He studied with Anthony Stevenson, Andrew Sherwood, Kenneth Piper, David Takeno and Simon Fischer. After working in London with such ground-breaking groups as the Kreisler String Orchestra, the Smith Quartet and the Orchestre Revolutionnaire et Romantique, Charles moved to Scotland. His work with the Edinburgh Quartet attracted much critical acclaim (notably a Gramophone “Editor’s Choice” for their recordings of Hans Gal) and it was at this time that he became artistic director of the Loch Shiel Spring Festival, a post he still holds. Charles moved back to England in 2007 to take up the post of Associate Leader of the BBC Concert Orchestra. He has led the orchestra in many of their highest-profile activities, including televised Proms appearances with Nigel Kennedy & Gwilym Simcock, the BBC2 series “Maestro” and a memorable concert with Burt Bacharach. He is now much in demand as a guest leader, working regularly with the CBSO, English National Ballet & Oxford Philomusica in particular. The Florin Ensemble is his latest chamber music project. Charles plays on a violin made for him in 2007 by the young German luthier Stephan von Baehr. Rustom began his musical studies aged three, with Mary Trewin and the Suzuki Method. He won music scholarships to Queen's College and Wells' Cathedral School, then studied for five years at the Guildhall School of Music and Drama in London with Prof. Yfrah Neaman and Krzysztof Smietana. His chamber music performances have included Purcell Room and Wigmore Hall debuts, concerts for the BBC Schnittke and City of London Festivals, and performing for HM The Queen on the occasion of her Golden Jubilee. His electric quartet 'Eclipse' supported Mcfly on their Arena Tour, playing to 20,000 people at Wembley Arena and Butlins, Minehead. They have performed at the Royal Albert Hall three times for Banardos Charity. In 2008, 'Eclipse' was invited to headline at the Cathcart Spring Proms at the Albert Hall, being backed by the Royal Philharmonic Orchestra. Rustom has performed with pop artists including Dizzee Rascal, Seal, Goldfrapp, Duffy, Mcfly, Lucie Silvas, Adele, Vampire Weekend, Razorlight, Take That, Spice Girls, Rihanna, The Noisettes, Bat for Lashes, Charlotte Church and Katie Melua. Rustom also performed at the Eurovision Song Contest 2009 in Moscow with Andrew Lloyd Webber and Jade Ewen in front of an estimated TV audience of 150 million. Rustom has performed the Delius, Mendelssohn, Bruch, Tchaikovsky, Beethoven, Barber and Mozart concerti with orchestras in the South West of England. In his spare time, Rustom enjoys writing music, running, tennis, cinema and travel – recent highlights include floating in the Dead Sea, a roadtrip from LA to San Fran, and a skydive over Rio. Rustom is very much looking forward to start working with such an exciting band as the BBC Concert Orchestra. GRAMMY® and JUNO® award-winning conductor/composer Bramwell Tovey was appointed Music Director of the Vancouver Symphony Orchestra in 2000. His exceptional tenure concludes in the summer of 2018. Under his leadership the VSO has toured to China, Korea, across Canada and the United States. His VSO innovations have included the establishment of the VSO School of Music of which he is Artistic Advisor, the VSO’s annual festival of contemporary music and the VSO Orchestral Institute at Whistler, a comprehensive summer orchestral training program for young musicians held in the scenic mountain resort of Whistler in British Columbia. In 2018/2019, the VSO’s centenary season, he assumes the role of Music Director Emeritus. During 2017/2018 his guest appearances include the New York Philharmonic, the Boston Symphony, the Philadelphia Orchestra, the Los Angeles Philharmonic and the Sydney, Melbourne, St Louis and Toronto Symphonies. He will also debut with the Houston and Indianapolis orchestras. He will lead the New York Philharmonic’s Live From Lincoln Center PBS TV Special in the music of Leonard Bernstein on New Year’s Eve 2017. In 2003 Bramwell Tovey won the JUNO® Award for Best Classical Composition for his choral and brass work Requiem for a Charred Skull. His song cycle, Ancestral Voices, which addresses the issue of Reconciliation, was written for acclaimed Kwagiulth mezzo-soprano Marion Newman and premiered in June 2017. It is being featured on the VSO’s provincial and national tours in 2017/2018. His trumpet concerto, Songs of the Paradise Saloon, was commissioned by the Toronto Symphony for principal trumpet, Andrew McCandless and performed in 2014 by Alison Balsom with the LA Philharmonic, the Philadelphia Orchestra and the London Philharmonic. A recording of his opera, The Inventor, commissioned by Calgary Opera, features the original cast, members of UBC Opera and the VSO is scheduled for release by Naxos. In 2013 he was appointed an honorary Officer of the Order of Canada for services to music. Since 2006 he has been Artistic Director of the National Youth Brass Band of Great Britain. In 2017 he joined the faculty of Boston University where he teaches conducting and oversees BU’s extensive orchestra program. Rebecca has been a member of the Orchestra since 1992, was born in Essex and grew up in Epping where music was very much a part of her family life. Her mother is a pianist who studied in New York with renowned soloist Claudio Arrau, while her sister Sarah plays the viola and her brother John played the 'cello. By the age of seven, Rebecca was studying the violin at Epping Music School and from here she progressed to Forest School where she was awarded a music scholarship. She had already performed several concertos with the school orchestra before she advanced on to the Harlow Youth Orchestra and, aged 15, on to the National Youth Orchesta. At this stage in her musical education, she was learning the violin with Howard Davies and for two years she became the leader of The Essex Youth Orchestra. It was during her time with this orchestra that Rebecca first started to enjoy the touring life of a musician. Rebecca completed her studies at the Royal Academy of Music in London with professors Winifred Roberts, Carmel Kaine and Xue Wei. After college, she gained a trial with The Birmingham Royal Ballet Orchestra and also the BBC Concert Orchestra. She accepted a post in the second violin section here before moving on to No.3 first violin in 1995. Stephen Joined the percussion section of the orchestra in January, 2008. He lives in Liverpool with his wife Sarah and son Samuel, so it is quite a long commute for him at the moment, bus as Sarah is a bassoonist with the Royal Liverpool Philharmonic Orchestra, they have no plans to move down south just yet! Before joining, Stephen was a busy freelancer working in Liverpool with the RLPO, in Manchester with the BBC Philharmonic and also in Newcastle with The Northern Sinfonia. He is a member of the percussion quartet Backbeat (check out their website at www.backbeat.co.uk) and he also performs in a duo named Fondue with his brother Dan, a seven foot tall double bassist in The Halle. The duo is so named as everything they play is "hot and cheesy"!! They are also not averse to dressing up. It must be quite an act to behold! Stephen is originally from Manchester and went to Chethams School of Music and The Royal Northern College of Music. It is not surprising that he is a keen Manchester United F.C. supporter! His other sporting interest is tennis, so we can expect to see a few musical aces being served up from the bass (drum) line. We welcome to The Orchestra, Dominic who was appointed as Principal Double Bass in November of 2008. He has spent the last eleven years with The Philharmonia Orchestra, so he is no stranger to a busy orchestral working life. Dominic is originally from Manchester and comes from a family of Butchers in the Worsley area (I wonder which came first the family or the name! ), and is the first professional musician from his clan. He trained at The Royal Northern College of Music and played the bass in both The National Children’s Orchestra and The National Youth Orchestra. Our congratulations are to be passed to him as well because on the 2nd of January this year, he was married to his fiancée Rebecca, who is a viola player with The Philharmonia. They spent their honeymoon in the Kerala region of Southern India. Apart from his busy musical life, Dominic enjoys cooking (he even took some lessons while in India this year! ), camping and walking. He and his wife particularly enjoy the Pembrokeshire coastline and the Cape Wrath area in Scotland. Dominic tells me that he also enjoys listening to film music so he should enjoy FNIMN when we include some of the scores of John Williams etc.